Lower Hutt (New Zealand) based Heavy Metal act, FALLEN ORDER has been performing live shows since 2005, but their line-up was completed with the addition of Hamish Murray (vocal) in 2007 and Kieran Gallagher (guitar) in 2009. 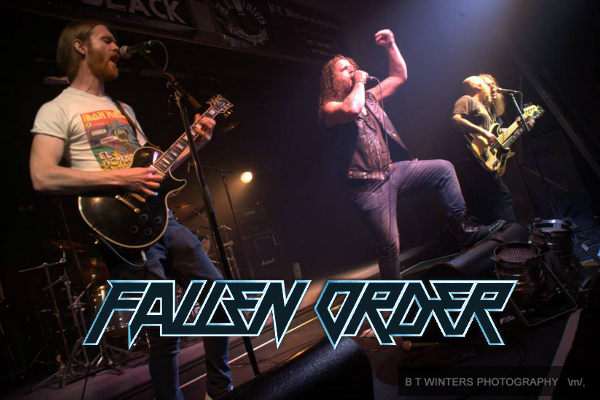 Combining a strong dose of 80's Metal with the influence of a few modern day defenders of the faith, FALLEN ORDER brings their own sound to the table while remaining true to the elements of traditional Heavy Metal. Although they steeped in tradition, their unique sound is characterized by powerful baritone vocals, Bulgarian-tinged drum fills, fast fingered bass lines and the harmonized riffs and solos of the twin guitar attack. The band has successfully completed their first New Zealand tour in 2013, and shared a stage with such great international acts as KORPIKLANNI (Finland) and LORD (Australia). 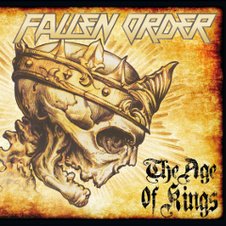 FALLEN ORDER released their self-recorded and produced debut EP "The Age of Kings" contains 5 tracks on February 21st 2014 as an independent release. They stand together at the forefront of New Zealand Heavy Metal, and are poised to lead the charge into 2014.